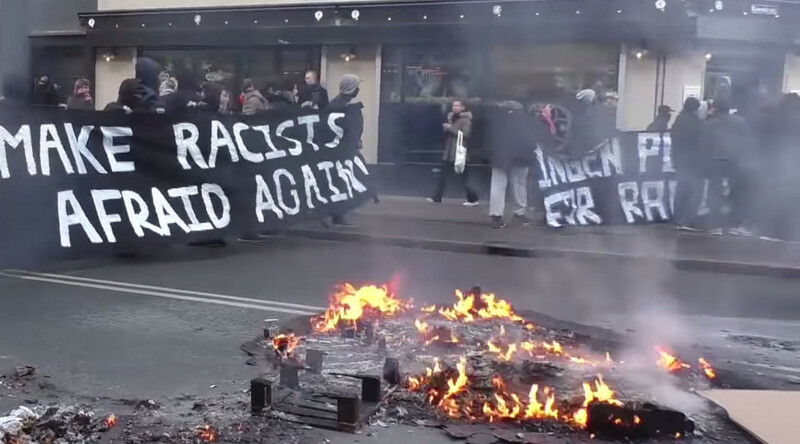 Clashes over immigration have erupted between police and two opposing protest groups in the Danish capital, Copenhagen, and resulted in the arrests of 11 people, local media reports. The street demonstration by the group “Patriotic Europeans Against the Islamization of the West,” or PEGIDA, took place simultaneously with a counter-rally. Pro-immigration protesters barricaded themselves against police. They set ablaze containers with litter and pieces of wood and lit a bonfire right on the roadway, which ended up in scuffles with police. The barricades were erected at the Queen Louise Bridge (Dronning Louises Bro) located in central Copenhagen and connecting the Nørrebro district with the downtown. Police had to remove the barricades and also extinguished a fire, Danish Fyens news outlet reported. Police arrested 11 people, however, it has not been specified to which groups they belonged. The demonstrations took place in different parts of the city and didn’t meet. At least one of those arrested is charged with violence against a public official, police spokesman Rasmus Skovsgaard said. There were also cases of vandalism and violations of public order detected, he added. There were at least 50-100 people taking part in the pro-immigration rally, Skovsgaard also said. There has been no information on the number of protesters participating in the other demo.